The Uratama is very much like the v4 and v4.5 connections. Except this time it has blue pixels (a major improvement over the red pixeled Keitai). 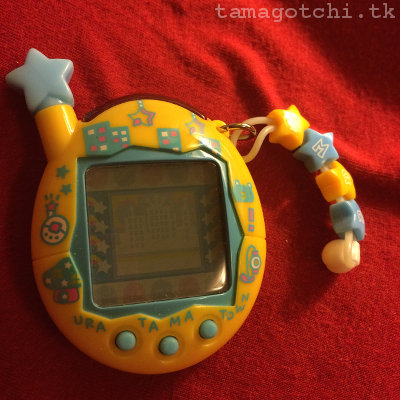 Just like the v4 and v4.5 tamagotchis, it has career aspirations and it goes to work. It also has a mail box where it gets news papers and letters from it's parents. 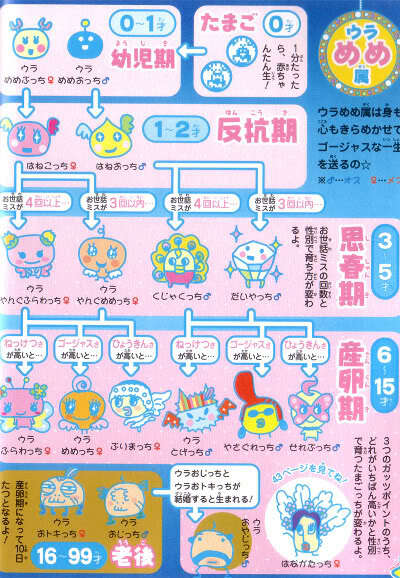 It connects to the Japanese Entama/Uratama website. I have tried connecting mine, but I seem to have trouble. Maybe I'll be able to figure it out someday. I don't have much time for the websites though. 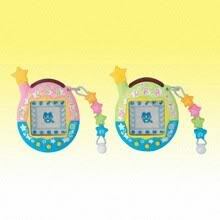 I really enjoy this tama and I have to say the characters are way different, but ultra cute! 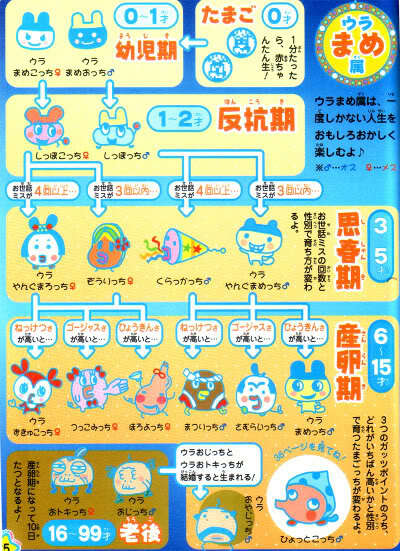 Apparently "Ura" means "horn" in Japanese so a lot of the characters have horns on their heads (correct me if I'm wrong). All of the games are very fun and you can get a lot of points playing them. Which games you play also determines its personality, and thus its growth. There is also a salesman who comes to sell you different items every day, just like with the Keitai and Akai tamagotchis. 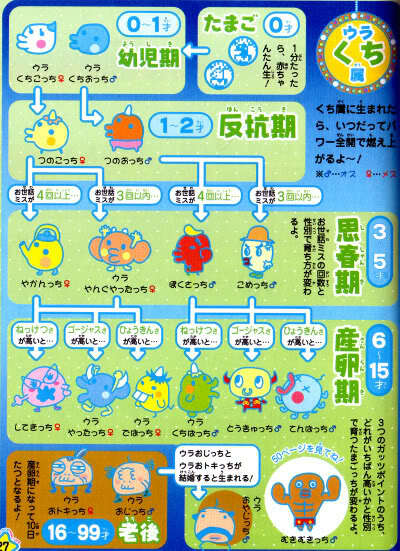 The Light also turns on and off by itself just like in the v4,v4.5 and the v5 connections :) It is very easy to get tons of points on this tamagotchi, so you won't have any problem buying items. 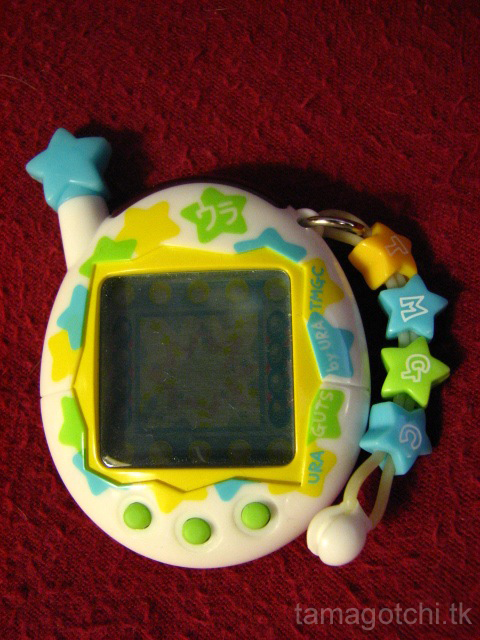 Also, the games are very unique and probably some of my favorite games on a Tamagotchi. I give this one a 9 out 10 for functionality and cuteness. 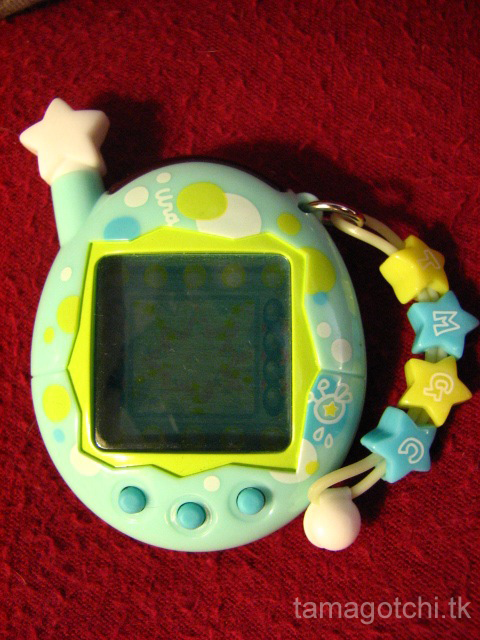 I would give it a 10, but I personally hate antennas on Tamagotchi shell designs because they are annoying and get in the way. 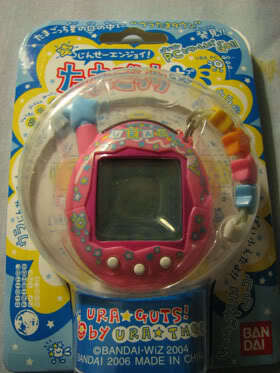 Other than that, an awesome Tamagotchi to own. Definitely a must have for one's collection! I sold this one to someone in the Facebook groups, but I still have the other one that came with it. I got this one on Yahoo Japan for a steal! I got my Ura for probably... $20-30? I'm not certain. It wasn't terribly expensive from what I recall, otherwise I wouldn't have gotten one right away. It was well worth it at any rate. You can currently find them if you type "uratama" into ebay. They range anywhere from $20-115 depending on how rare the design. 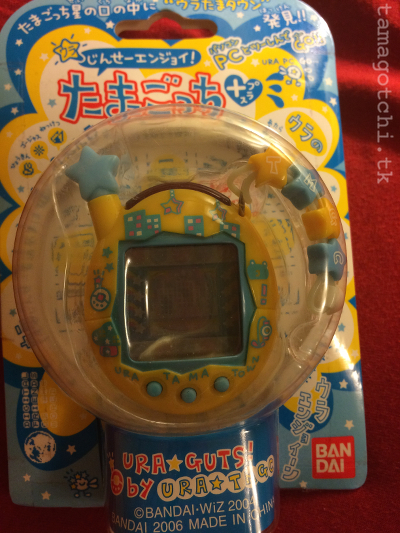 If you are not picky about design you could probably get a cute $25 uratama. I see these all the time on eBay, so they are not hard to find :D Don't get the Uratama mixed up with the Cho Jinsei. The Ura has blue pixels and a star antenna, but the Cho Jinsei has black pixels and a ball antenna. I'm sure they are the same thing, but with slight differences such as characters and games.